Several people have asked me how they could help support the site. Want to suggest an article for me to blog? Would you like to write a post for the blog? Please email a link to me via our contact form. 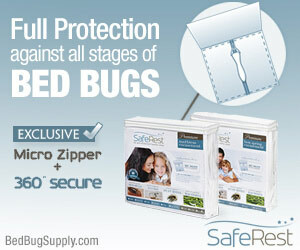 You can also help by shopping with our affiliate partners. 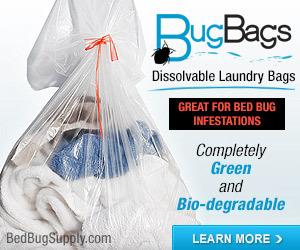 As a general rule, we do not recommend any products that myself or other Bedbuggers have not purchased and found useful. Any exceptions will be clearly noted. 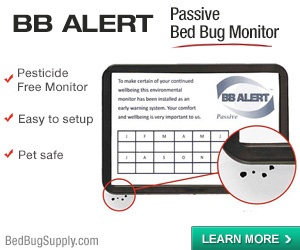 That said, Bedbugger has affiliate relationships with Protect-a-Bed, US Bed Bugs, National Allergy, and Amazon, with some blogging tools we use (MyScribe SEO and Thesis Theme), and our web host SYN. When you make a purchase via one of our clearly marked affiliate links to those companies, or via the encasements or useful stuff pages, a small commission is paid by those companies to our site. This does not increase the price of your purchase, so it’s an easy way to help keep the site running and providing good information, at no cost to you. 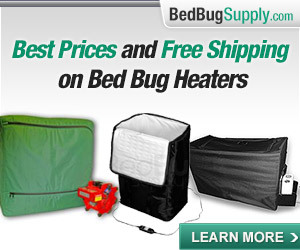 If you shop via the Amazon ad in the right sidebar, you can help support Bedbugger at no additional cost to you. 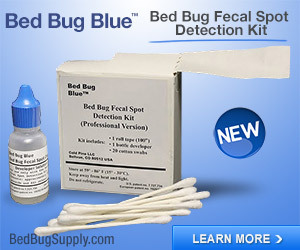 Thanks for helping to keep Bedbugger running! Hi – I have been having trouble getting my password to work on this site. I was able to post once and since that time it keeps saying the password is wrong. Have tried various things which didn’t fix the prob. Please help. 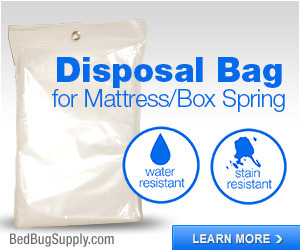 Bunnybedbug, Please use the comment form to get in touch with me. 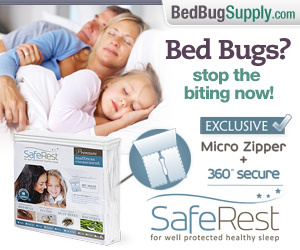 Or email: nobugs [at] bedbugger dot com. We can then troubleshoot your login issues. Please also let me know if you are trying to login via this side of the site (blog) or the forums. Thanks! 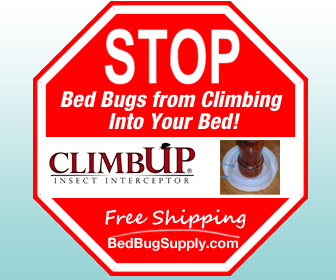 This is an awesome tool in fighting bed bugs, not sure how much money you guys get but I do see you have some big name advertisers… have you ever considered adding a “chat” part to the website? Not to make it into a social networking site, but that also would be helpful as we are isolated in our BB fights; just a thought! It shows who is online: and it would be really nice to get and give immediate feedback. That is all: bb free for about a week now – but I found one around my the packing tape I put around my AC unit that would and did catch anything trying to sneak in in the middle of the nite… U.P. P.S. I posted it in my wordy matter to my string: should I post it condensed version as a tip somewhere else? OR is this what you do.. find good tips and tag them? I also put packing tape (sticky side mostly exposed) around my outlets and light switches. That would catch em if they tried to crawl out of the walls. 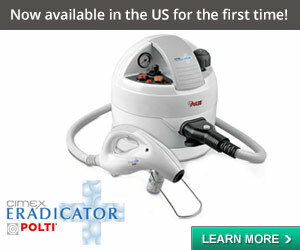 The site carries ads. But in most cases, we are paid only if people shop via those ads. Advertising allows me to keep the site going, but it’s mostly a labor of love and I do have a day job. I will consider the chat box. Thanks for suggesting it. If you have suggestions like your idea about putting tape on the AC, you can post them to the forums. You can also tag it (with words like AC, air conditioner, tape). Posting suggestions on comments in the blog (as here) is not as helpful, because people are less likely to look at comments on old posts like this one. Hope that helps! October 2017, I and several neighbors realized we had an infestation. I took my dog and moved out that night. I began treating my clothes and once they were done, I didn’t take them back in. This was a final straw in an ongoing saga with this complex, so I was moving no matter what. A pest control company inspected and said a chemical treatment was only needed, and even though I knew that would not be sufficient, they did the treatment. Two days later, I went back, and sure enough, they were definitely very much still alive. The majority of my belongings were taken to a landfill, furniture and the like. My clothes were treated by myself with high heat treatments at the laundry mat and taken to my friends place. 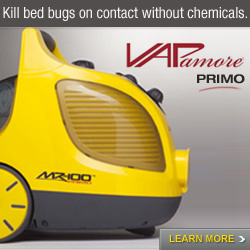 The complex finally listened to my insistance that a chemical treatment was not sufficient, and a week later, the pest company came and did another chemical treatment with a different chemical, as well as a heat treatment. Two days after that, I took the items left from the treated unit to a storage locker about the size of a walk-in closet. I am now in a new apartment complex and with the exception of my clothes, everything here is literally brand new. The remaining items that are still in the storage unit I plan to leave there for a year, but I would really like to bring my tv. It was always on a table in my living room (which did have bugs, they were on my couch), but after the first chemical treatment, it was unplugged and on the floor for the second chemical and heat treatment, then moved to a storage unit, where it has sat for a little over 3 months. Literally everything else will stay in the unit, but do you think I’m safe to bring my tv to my new place, or should I wait? 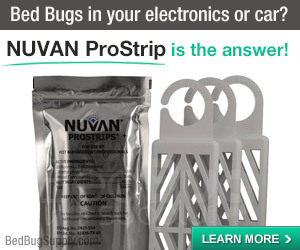 As for your question, you seem to be asking if it’s possible that bed bugs are in your TV and could be transmitted to your new home. 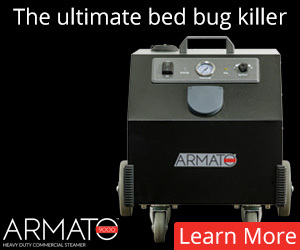 Experts tell us bed bugs don’t usually infest electronics. 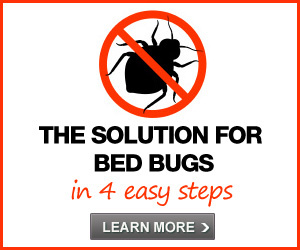 However, it’s possible, and likelihood would depend on where bed bugs were in your home, how many there were, and what effects treatment had on them. None of us can assess that, unfortunately. 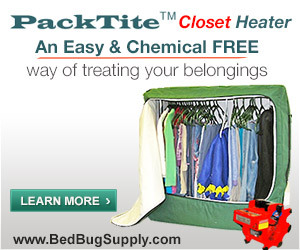 Note that simply leaving items in a storage unit for a year won’t necessarily mean they are bed bug free— particularly if they’re not sealed. 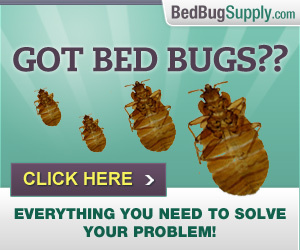 They can not only spread to others, but bed bugs could potentially bite a person or animal and survive.